The ACR seeks one or more members to help develop a project to support the transition from pediatric to adult medical care. The ACR’s Collaborative Initiatives department (COIN) regularly collaborates with KDH Research & Communication (KDHRC) on projects to promote rheumatology education and awareness. KDHRC, with support of ACR members, has written a project plan to develop and evaluate a mobile app for teens and young adults with pediatric rheumatic diseases. 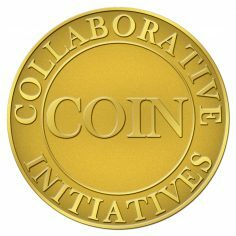 COIN and KDHRC now seek to refine the existing project plan, secure funding and implement the project, and COIN is seeking a member to serve as lead collaborator on its behalf. Please submit a one-page letter of interest by email to the contact below by May 10, 2018. The ACR Collaborative Initiatives department (COIN) provides members with the opportunity to leverage its extensive network of collaborators to develop and test innovative solutions to complex rheumatology care problems in order to achieve health equity and improve the health of people with rheumatic diseases. KDHRC conducts rigorous research to explore complex social problems and constructs powerful programs that improve the health and well-being of youth, families, and communities. Since 2010, KDHRC has worked with COIN on several projects such as The Lupus Initiative (TLI) (www.thelupusinitiative.org). TLI is a national education program designed to reduce health disparities experienced by people with lupus. ACR and KDHRC seek to support and evaluate the self-management needs of teens and young adults with pediatric rheumatic diseases as they transition from pediatric to adult medical care. Minority teens and young adults with pediatric rheumatic disease are more likely to have worse disease outcomes and, in general, are less prepared to transition. Through this project ACR also aims to support an energized exchange of ideas and the professional development of members. Who Should Consider Submitting a Letter of Interest? All ACR and ARHP members with relevant expertise and interest are eligible to submit a letter. Members with significant interest in the development of projects of this type are encouraged to apply. Junior investigators with expertise but limited experience are encouraged to apply. The scope and depth of the collaboration will be tailored to the level of experience of participating member(s). The ACR may pair new researchers, clinicians, or educators with more senior members. Racial/ethnic minority individuals, women, and persons with disabilities are strongly encouraged to apply. Preparation of the grant application is a volunteer role. If the ACR and KDHRC are successful in securing funding they will enter into a contract with the selected member(s) or with the institution(s) with which the member(s) is affiliated. The contract will provide for compensation to be paid to the member(s) or institution(s) for their effort commensurate with selected member(s) role. The level and structure of compensation will depend on the level of the funding award and the scope of participation of the member(s). The ACR will provide resources as agreed upon and appropriate. In addition, please also provide an updated biosketch in the NIH format.